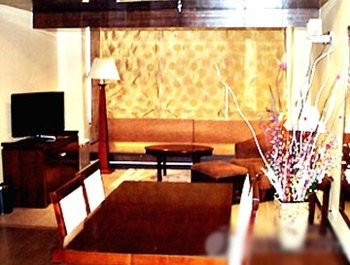 Comfort Inn Saurabh is a 3 Star property best suited for business and leisure travelers. The hotel is situated in the city of Haldwani which is also known as Gateway to Kumaon. Comfort Inn hotel is situated very close to famous places like Nainital, Pantnagar University and Jim Corbett National Park. The hotel Comfort Inn serves an in-house restaurant and bar. The Comfort Inn Saurabh Mountviewis the perfect hotel for business and leisure travelers visiting the Haldwani, India area. A landmark in Haldwani, Comfort Inn Saurabh is a quality property that provides luxurious accommodation with modern facilities and services. Comfort Inn Saurabh is located at Civil Lines, Haldwani, and is approximately 22 km from the Pantnagar airport and 4 km from the Railway Station. Hotel comfort Inn is 2.5 Kms from Bus Stand on Nainital Road. Comfort Inn Saurabh has elegantly appointed 41 rooms. All the rooms are spacious, provided with comfortable beds and modern amenities like air conditioner, beautiful bay windows, coffee makers, mini bars, voice mail and satellite television. The rooms are categorized under Superior, Deluxe, Executive Suites, and Presidential Suite. Spice is the name of the multi-cuisine restaurant of Hotel Comfort Inn Saurabh. The restaurant serves an array of delectable delicacies. Spirit is a fine eatery to have lip smacking food, snacks and drink. Corporate travelers will appreciate conveniences like the business center, computer hook-ups in all rooms and access to fax services. The state-of-the-art conference facilities accommodate up to 250 people for most events and business functions. Audio/visual equipment is available; contact the hotel for more details. Haldwani is situated at the base of the Kumaon hills and is 35 kilometers away from Nanital and 70 kilometers away from Corbett National Park.